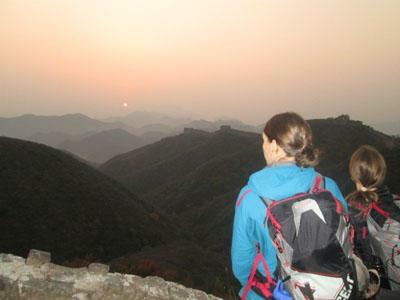 This classic Great Wall hike allows you to experience what is now the most popular Great Wall trek-Gubeikouto Jinshanling. Jinshanling has long been storied for its beautiful brickwork and watchtowers, as well as the way wall here winds and snakes along the valley. Gubeikou, often overlooked and rarely crowded, offers some of that "wild wall" that we know our clients love. You'll also have the opportunity to hike into the western portion of Simatai, an area known for its steepness and challenging paths.